AAMCO is riding a wave of momentum of rapid growth and expansion as America’s premier transmission franchise finishes a strong 3rd quarter. 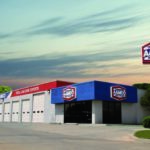 The nation’s largest transmission franchise opened six new franchise locations in California, Louisiana, Pennsylvania, Texas, Washington and Virginia in spring and summer, and in that same timeframe, seven entrepreneurs have signed on to open new AAMCO centers across the country. 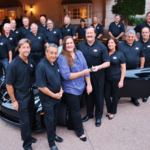 With nearly 650 auto repair franchise locations across the country, AAMCO has remained a dynamic part of American car culture — as well as a vibrant part of hundreds of local economies — since the brand began franchising in 1963. Led by CEO and President Brett Ponton, formerly the President and CEO of the largest franchise company within Jiffy Lube which operated nearly 575 units across America, the AAMCO business model is easier to operate and easier to scale than ever before. What makes AAMCO easier to operate and easier to scale than ever before? AAMCO is halfway through a five-year strategic plan, which has reinvigorated the 50-year-old-plus franchise system by creating a franchisee-focused performance culture and pushing up average unit profitability across the country. The many new initiatives that are ushering in the bright new era for AAMCO are intended to simplify the iconic brand’s proven business model and drive revenue to franchise owners in their centers. 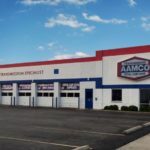 AAMCO created Global Powertrain Systems, a transmission remanufacturing facility in Newnan GA, to help deliver high quality, low cost transmissions for their franchisees. AAMCO also made significant investments to build a state-of-the-art training facility to keep franchise owners and their technicians at the level of expertise the brand is known for. 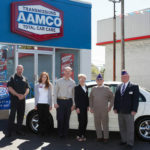 Most recently, AAMCO has delivered technology directly to the franchise centers. AAMCO rolled out a new CRM system to deliver executive class analytics to help improve financial performance and will introduce a new point-of-sale system to improve the in-store experience. AAMCO is currently in the process of rolling out a national consumer financing platform to help franchise owners win more sales and provide the customer more options to pay for auto care. The industry has taken notice. In 2016, Franchise Rankings named AAMCO as the best overall automotive franchise in the United States, as well as the No. 5 best franchise to buy in any industry, period. Entrepreneur included AAMCO on its prestigious “Franchise 500” list for the third year in a row. Most recently, AAMCO was named to Franchise Times magazine’s “Top 200” for the second consecutive year.